With Dan freed from teaching Macedonian lawyers for a couple of weeks, we took a road trip through some of Macedonia's Balkan neighbors. I don't like "road trips". There is way too much driving and too little being in one place. This dislike was etched in my mind when I was a child. Bi-annually, my parents would pile all of us kids (first 3 kids and later 5 kids) into a car and drive as fast as possible from California to either Georgia or South Dakota. One year we made a large circle to hit both Georgia and South Dakota. My father did not understand the concept of "enjoying the journey." We drove though national parks and historic landmarks and didn't stop. For him only the destination was important. Consequently, during the two to four-day journey portion of the road trip, the car was a miserable, tear filled, boring place to be for 18 hours each day. Dan and I disagreed about whether or not we should make reservations for this two-week vacation. I didn't think it was necessary because it was already middle September. Dan insisted it was necessary so we reached a compromise. Dan reserved rooms for the first several nights and after that we would go wherever we were drawn. Our first stop was Tirana, Albania. Upon arriving at the hotel, we were told that our reservation was for the previous night, but fortunately for us they did happen to have a room for us on this night. 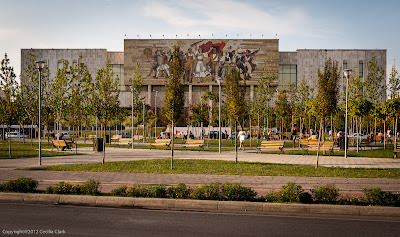 Tirana's city center was full of restaurants and great looking shops. We stayed one night here just to break up our trip to the coast. Before we left Tirana the next morning, we took a short walk around to view some of the more popular sites. 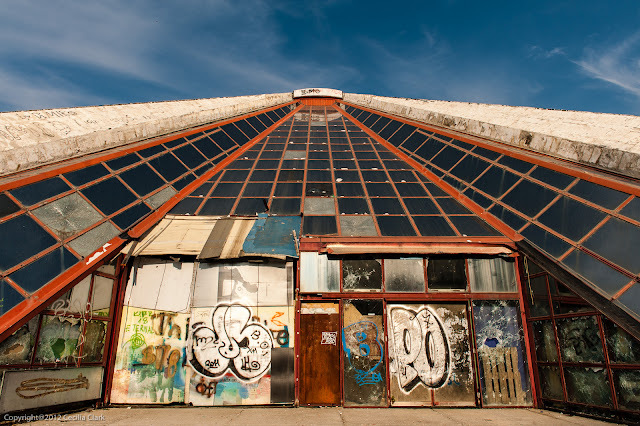 The above photo is what remains of the former Enver Hoxha Museum. 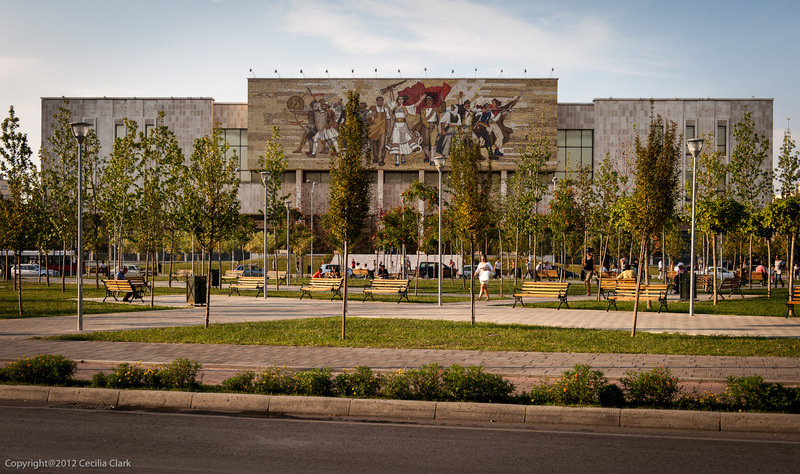 After President Hoxha and communism in Albania died, the building, called The Pyramid, was converted to a Cultural Center. The structure which has fallen into disuse and disrepair is now just a canvas for graffiti. The central oval is encircled by early 20th-century lovely Italian-built government buildings. 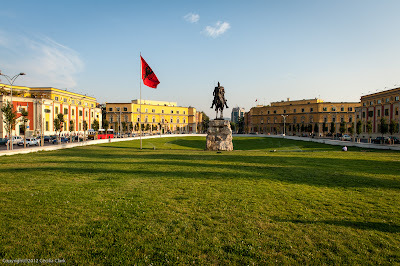 The center statue is Albanian hero Skanderbeg (Albanian for Alexander-same name, but not the same Alexander). 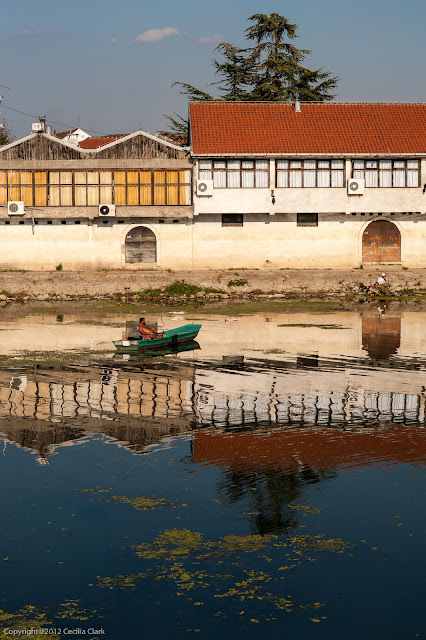 At the hotel's suggestion, on the way to Montenegro we stopped briefly at the Albanian town of Shkoder. 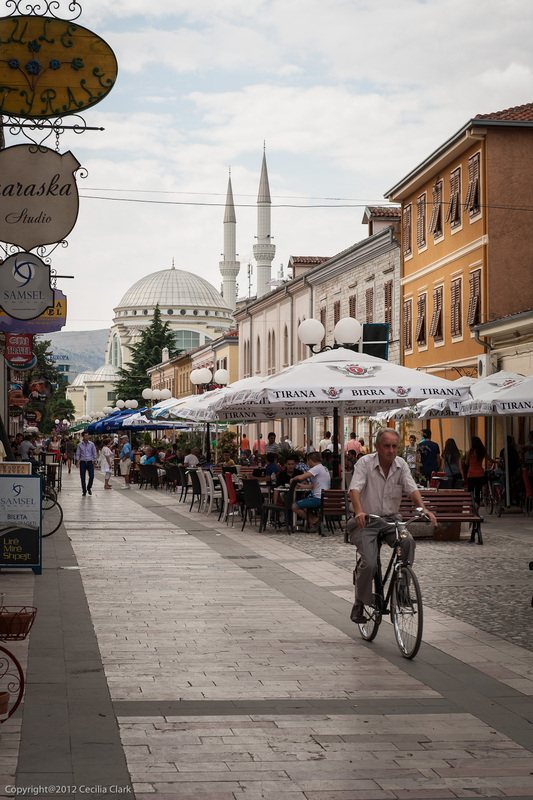 Shkoder has an attractive pedestrian street lined with cafes and anchored at one end by a mosque. It didn't seem to offer any other interesting sights as we drove through the remainder of the city. 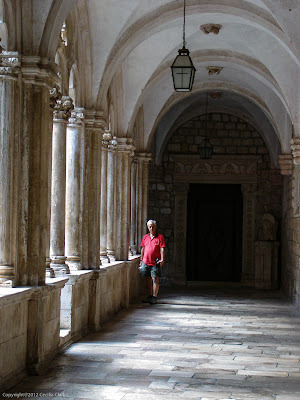 Our second and third nights were to be in Kotor, Montenegro. 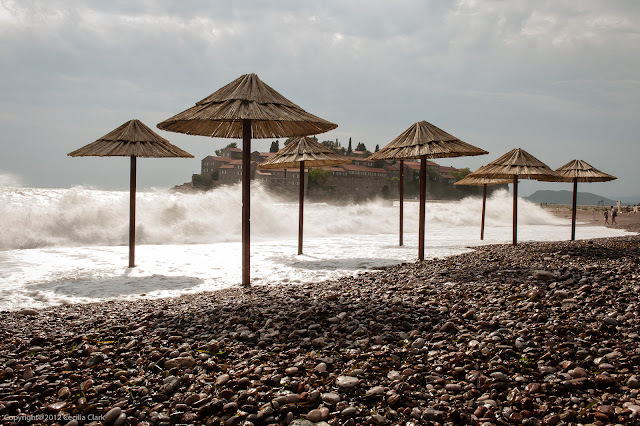 Along the way we stopped at the pretty Montenegrin coastal town of Sveti Stefan. 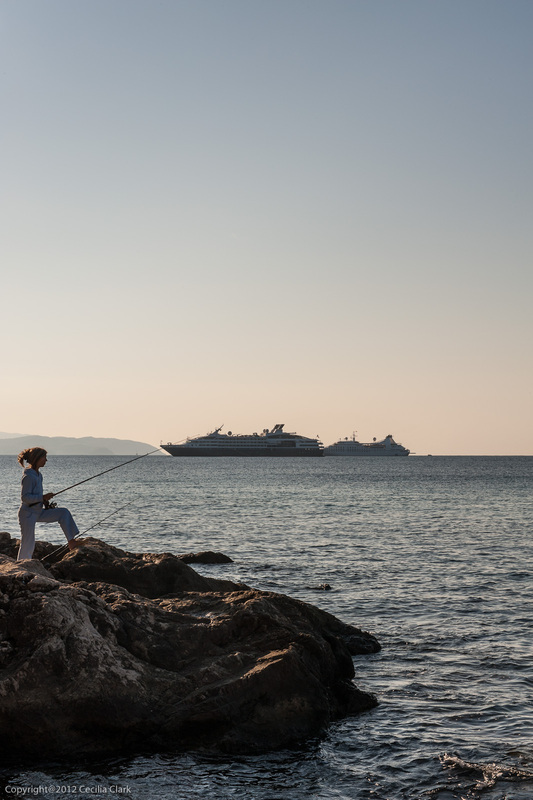 The town has a peninsula that before the breakup of Yugoslavia was once filled with the rich and famous. It may be returning to that status because Dan and I thought we could walk over the causeway to the peninsula, but were prevented by a security guard who told us it was "private." We resigned ourselves to taking photos from the beach. The weather was rapidly changing and the sea was soon a dramatic froth. By the time we arrived in Kotor, it was raining--hard. There we learned that our two-night reservation in Kotor began the previous night. Because we hadn't shown up the night before, they decided to rent our room for this night to someone else. We found another hotel and cut our stay in Kotor to one night which made us current on the next reservation. We tried to explore Kotor the first evening, but the streets were like rivers and soon our feet were soaked. The next morning, we again tried to explore Kotor, but the continuing rain dampened our spirits and our shoes. All this was adding up to a very inauspicious start to our Balkan road trip. With wet shoes, we drove to Dubrovnik, Croatia. Dubrovnik is beautiful but oh so sterile. It is the landside-theme park for cruise ship passengers. 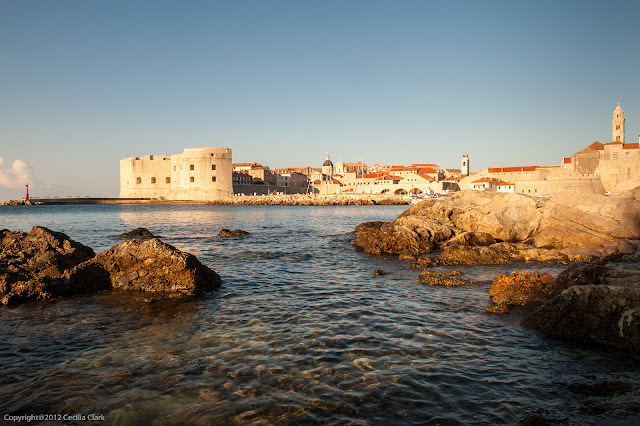 During the high season which does not end until mid November, as many as 7,000 cruise ship passengers squeeze through the old city walls of Dubrovnik. Few local people live in the old city because it is expensive. It is a place of souvenir shops, not very good restaurants, clusters of tour groups, and museums. Our second and third days in Dubrovnik the weather was warm, clear, and beautiful. Dan and I visited every museum, cathedral, church in the old city. 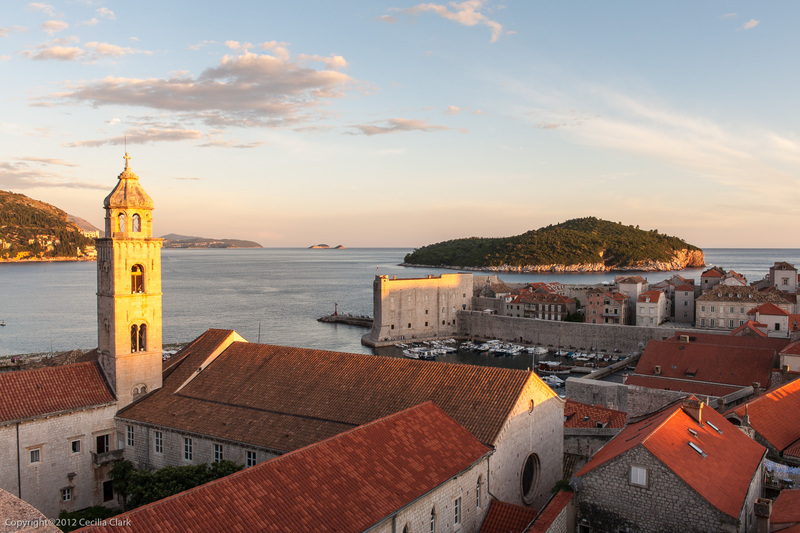 We walked the old city walls in the late afternoon and the views were like no other place. The end of our stay in Dubrovnik was also the end of our advance reservations. While in Dubrovnik, we searched hotel sites looking for a hotel somewhere for the next night. Finally, we found a room for one night only in Korčula on Korčula Island. At this point, we are not traveling to where our hearts lead us but to where we can find a room. It's Dan's turn to say, "I told you so." Korčula is beautiful and would have been so nice if we could have stayed there for 3-4 days. 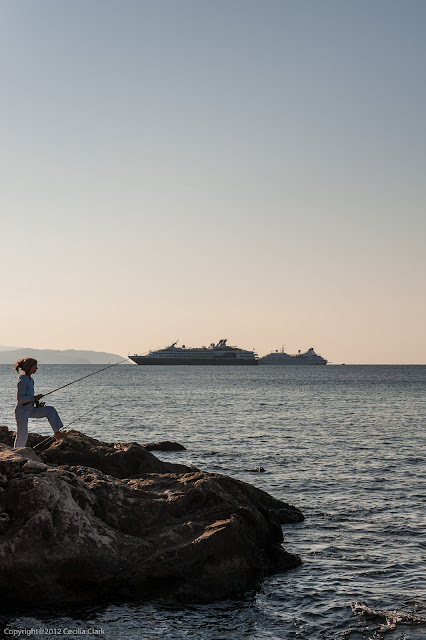 There is wine tasting, kayaking, swimming in small coves--everything for a peaceful vacation. But, the next morning, we drove to the other end of the island and took a ferry to Split. The day was warm and both of us darkened our tans sitting topside on the ferry. Dan napped and I read. 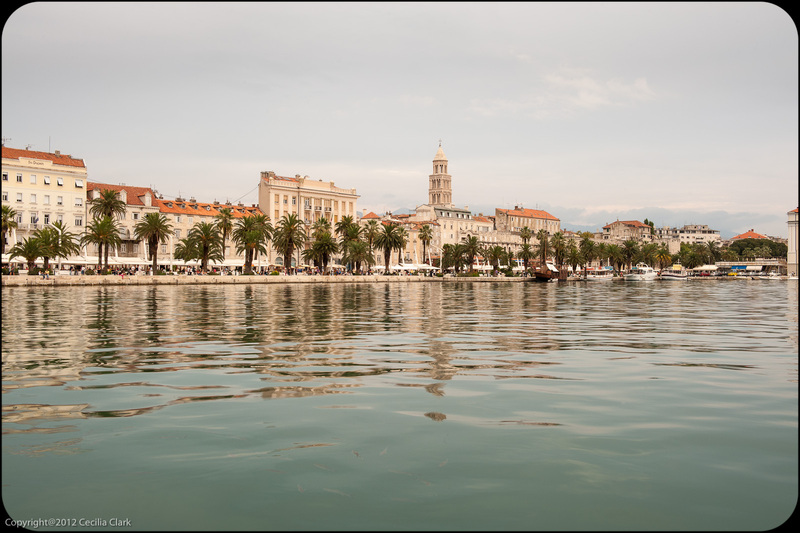 Of the walled cities we visited, Split is my favorite. The walled city is occupied by people who live there. There are more than just tourist restaurants and shops. It is a living city. We stayed in an apartment within Diocletian's (maker of early Christian martyrs everywhere) palace. Ironically, the center of his palace became a Christian church after Diocletian's death. We walked everywhere. In Dubrovnik we first admired sculptures by the late, great Croatian artist, Ivan Meštrović. In Split, his home is now a museum dedicated to his prolific life. 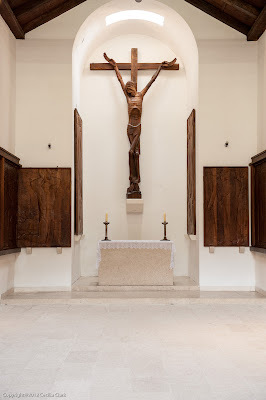 We visited the church, Kaštelet Chapel, he built on his property. Below is a photo of the chapel and the crucifix Meštrović carved. 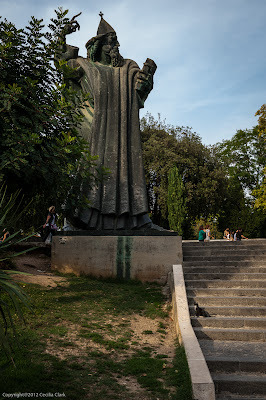 The right photo is Meštrović's angry sculpture of Bishop Gregory of Nin. There is a tradition that if you rub the bishop's toe and make a wish, it will come true. Consequently his big toe is very polished and shiny. 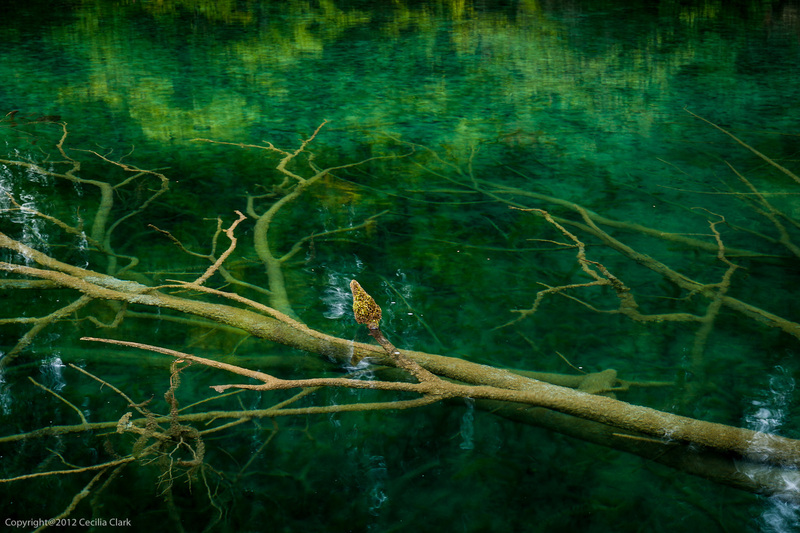 From Split, we drove inland to Croatia's beautiful Plitvice Lakes National Park. 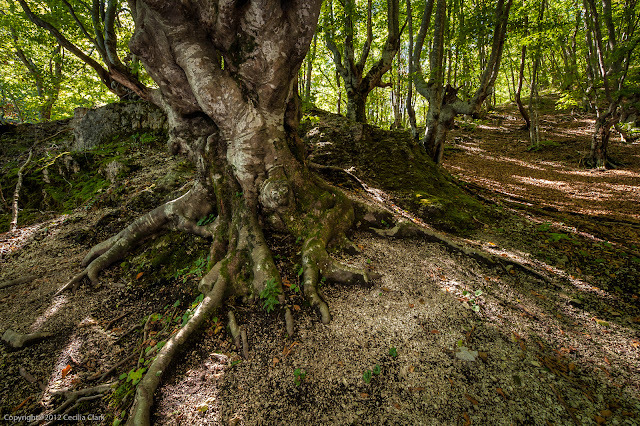 This was the first national park in the former Yugoslavia. This is also where the first shot was fired in the war between the Serbs and Croats. Arriving in this beautiful forest with so many with lakes filled me with calm. 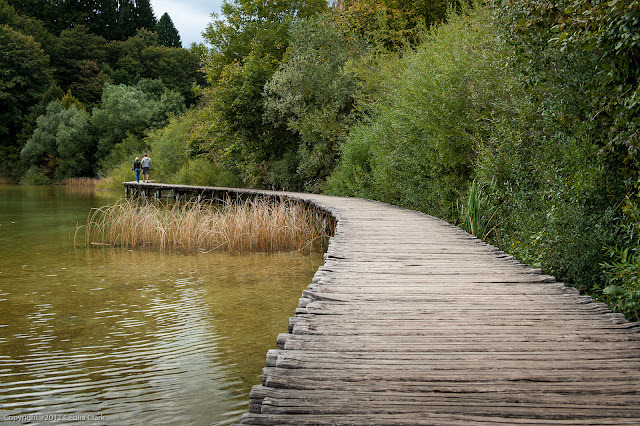 We set off down this path for a short walk. While I was waiting for the sun to emerge from behind the clouds, I saw a woman that looked like someone I knew. I quietly said her name, but she didn't respond. 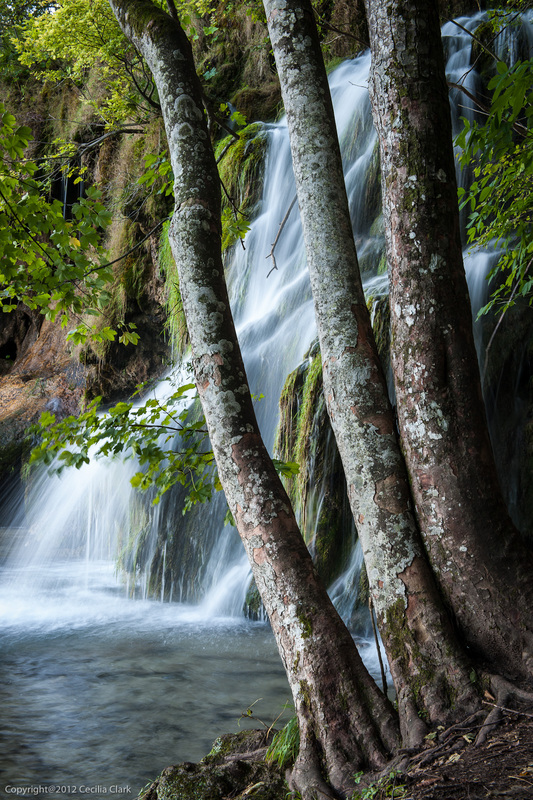 At the next waterfall stop, she approached me and it was my friend Penny from my yoga class in Placerville, California. She and her husband had decided to take a vacation to Croatia and to Italy. This was their second night in Croatia (they did not have reservations either), and they had come to the park for one night. Finally, an auspicious sign for our road trip. Penny and John and Dan and I had dinner together that night. It was so wonderful to meet by chance a friend that I've known for so long in a place neither of us knew we would be. Penny and John stayed for one night and we stayed for two. Dan and I walked almost all the trails enjoying this jewel of a park immensely. 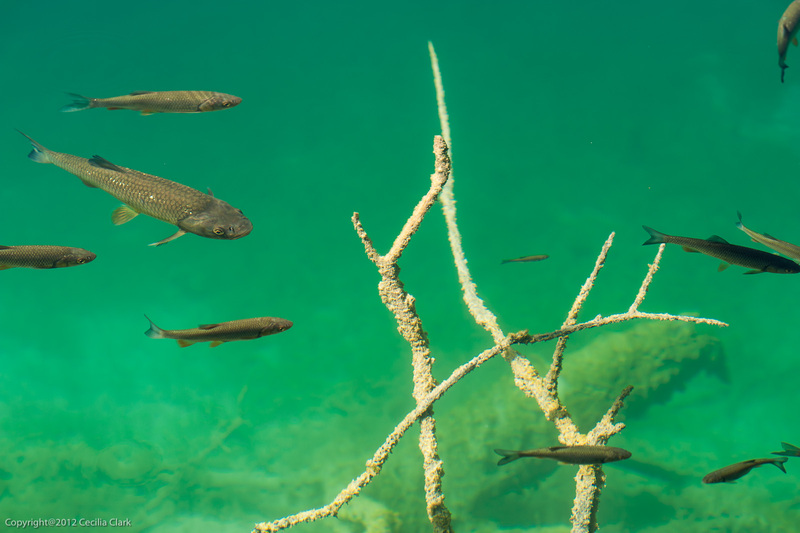 The water is so clear that the fish are visible from above. As a result, it is a good thing fishing is illegal here. 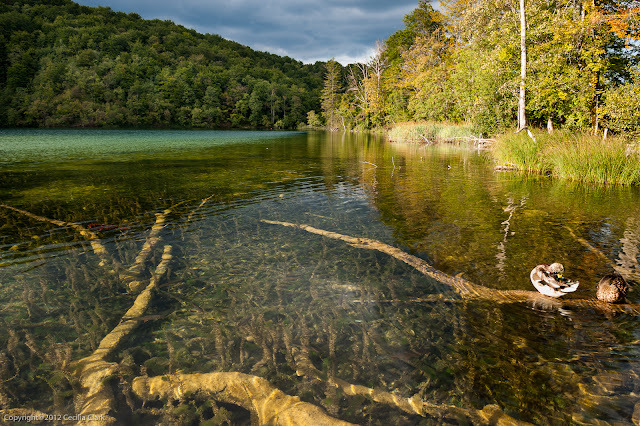 Leaving Plitvice Lake National Park behind we drove to Zagreb for one night and then into Serbia to overnight near Studenica Monastery. The last time we were in Belgrade, we saw a museum exhibit about Studenica. The museum reproductions of frescos and stonework were so fabulous we wanted to see the originals. Unfortunately, the actual monastery is being renovated and the 12th-century frescos are being repaired. The visit to the actual site was a bit of a let down. We also stopped at the Smederovo fortress. 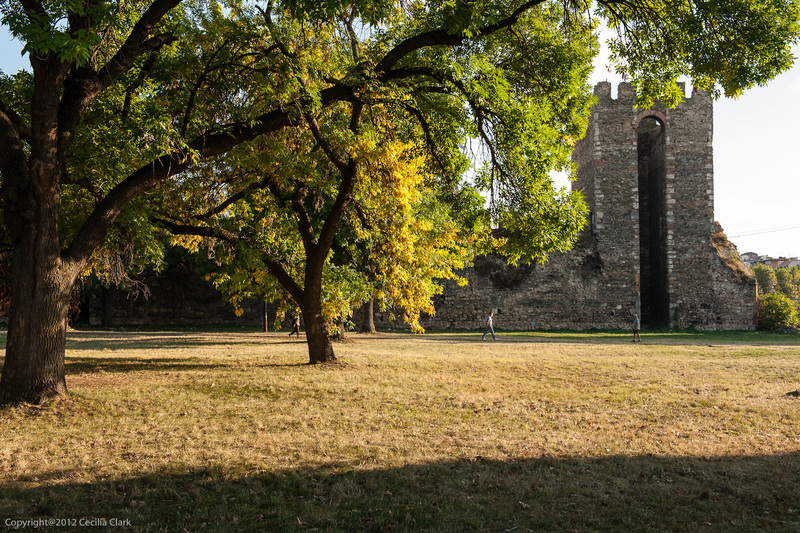 The fortress is largely in ruins due to an ammunition explosion and a later bombing during WWII, but the area within the ruined walls was park like and full of people exercising and enjoying the warm afternoon sun. The fortress was built in a strategic position on the Danube. Just outside the walls, residents were fishing along the banks of the Danube or in small boats. The last day of our road trip was spent driving. We left Serbia and soon entered the still contested northern area of Kosovo. It was quite eerie driving into Kosovo from Serbia. For quite a distance into Kosovo on the slow road to Mitrovica there were frequent groups of Serbian nationals sitting inside large storage containers situated next to the road. The storage containers were decorated with Serbian flags. Eventually, the groups of men changed to Kosovars with Albanian flags decorating their storage containers. KFOR troops will be here for a long time. Finally in Pristina, we had lunch and went in search of "Bill" so Dan could take a photograph of him. Once we left Pristina, we didn't stop until we got back to Skopje. It is good to be back in our temporary home and it will be a long time before I submit/commit to another road trip. More photos are on Flickr.